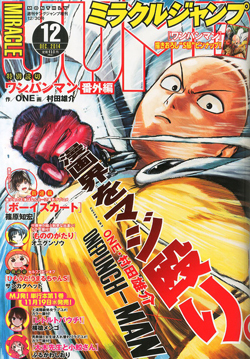 Saitama is the titular Onepunch man Manga that is so powerful that he can defeat very powerful monsters and villains in just a single punch. Ironically, his life is boring because he is a superhero. The fact that he is so strong and powerful proved to be boring to him as hell. He used to be your typical Salaryman. He is middle aged and lived a rather boring and normal life. One day he saw a kid being attacked by one of the giant monster lobster. He helped the kid and somehow defeated the monster. Genos is a cybog and he saw Saitama’s capabilities and assigned himself as his student. He’s become a hero to revenge against a mysterious robot that killed his entire family. He follows Saitama to gain the strength he needed to achieve his goals.